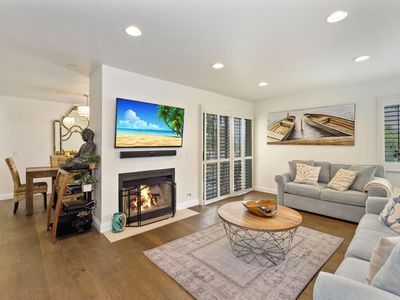 Monarch Beach Single Family Home - New to Market! 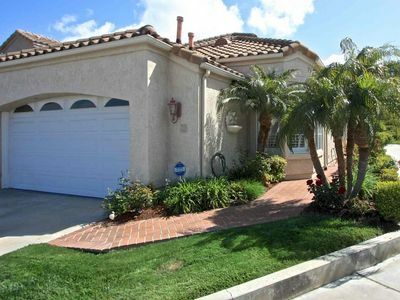 Welcome to Monarch Beach and this single family home in the prestigious, gated community of Monarch Beach. 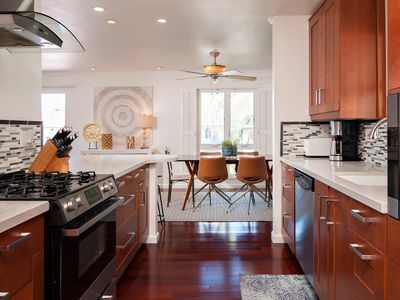 This home boasts a rare floor plan with a downstairs Master Bedroom and private bathroom. No stairs to deal with as the only room on the 2nd floor is the office with its own bathroom. 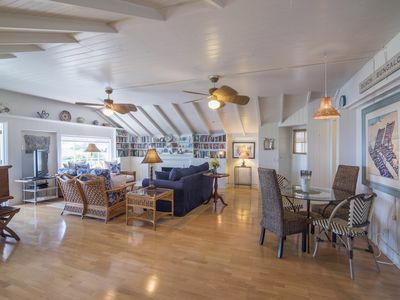 Upon entering the home, the spacious living room flows into the dining area, with comfortable seating for 6 people. The updated kitchen also has a separate eating area. 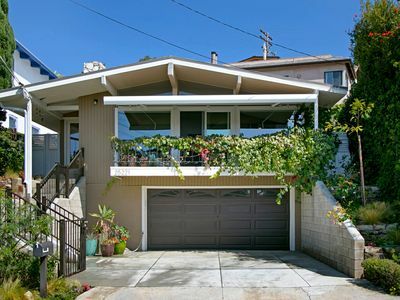 This corner house is situated on a beautifully landscaped lot with a spacious backyard that is completely fenced. This is a great choice for people that prefer all the living space on one floor. The home has a remodeled kitchen with granite counter tops, new cabinetry, newer appliances, and a kitchen table in the nook area. The west facing windows allow sunshine in all day and create a light and bright atmosphere. 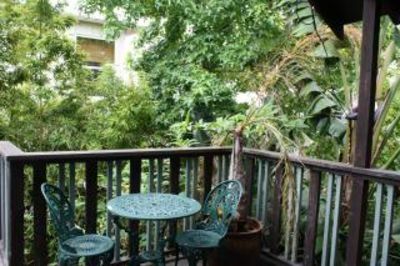 The private back yard is ideal for outdoor dining and has a new Weber BBQ. Parking for 2 cars in the attached garage. 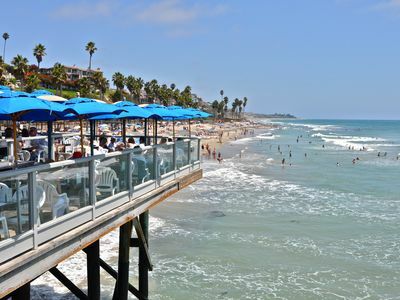 Nearby St. Regis Hotel is in walking distance along with the Monarch Beach Tennis Club and Monarch Links Golf Course. 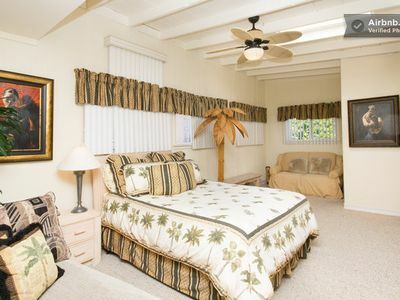 The bedrooms feature new, hotel quality mattresses with a king size bed in the master bedroom, flat screen TV with private, newly remodeled master bathroom. The master bathroom remodel adds an expanded shower, double vanities with granite counters, custom cabinetry, new flooring and soft lighting. The guest bedroom has a queen size bed and bathroom. The office on the 2nd floor has a desk, TV, and private bathroom. The living room has a gas fireplace, comfortable seating, and a large flat screen TV with premium cable packages. The home is equipped with wifi throughout. 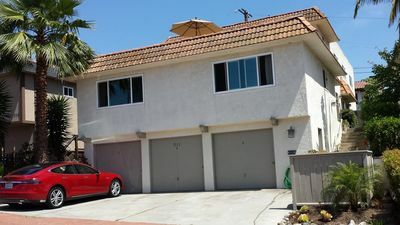 This newer home is clean, newly furnished and extremely comfortable for longer term stays. 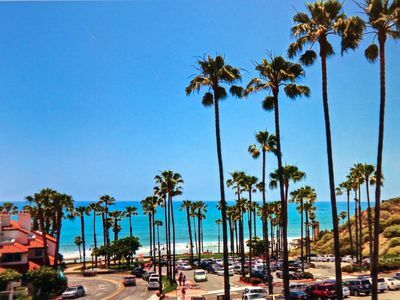 Ideally situated between LA and San Diego, Monarch Beach offers everything from world class hotels, golf, tennis, hiking, and some of the most beautiful beaches. 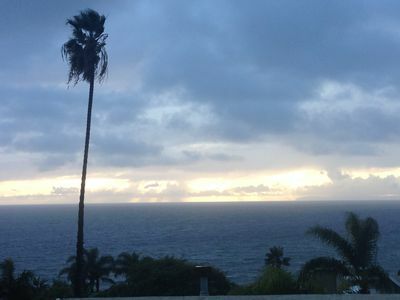 Salt Creek and Strand Beach are in walking distance, about a mile away. The Dana Point Harbor has every type of water sport imaginable, from sailing to stand-up paddle boarding. Great location, great home! Lovely and clean upstairs studio apt. 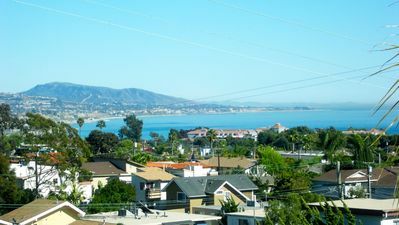 Beach Vacation Rental C: Best Value, Great Location! "THE VILLA" Awesome Ocean Views, Quite and secure.